Having grown up a staple diet of all time classics like Gone With The Wind, Casablanca, Citizen Kane, Sound Of Music, The Good The Bad The Ugly and few more in the same genres, I did not understand the nuances of appreciating a well made film those days. However, you can never escape the influence of a great movie…and that’s what happened to me also! This remains my numero uno as far as romantic movies are concerned. 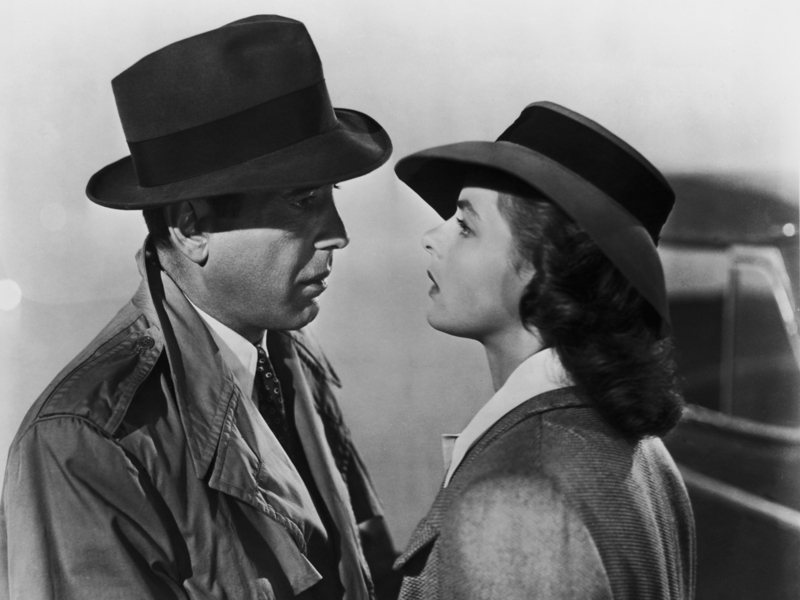 I can swoon every time I hear Humphrey Bogart say, “Of all the gin joints in the world, she had to walk into mine.” With nearly every line of its script engraved on the collective subconscious, and its central performances of Bogart and Ingrid Bergman defining iconic cool, Casablanca is an exultant classic. “Here’s looking at you, kid”. I love a good war movie, especially the Second World War ones. 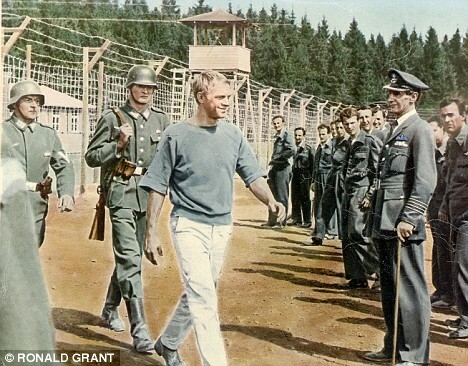 This 1963 American film on the escape and escape attempts of Allied forces prisoners from a German military camp is the right audio visual choice that tickled my palate with intriguing drama and meticulous war and war camp description. The movie has a a classic motorcycle chase sequence featuring the great Steve McQueen. The all-star ensemble includes James Coburn, Richard Attenborough, Charles Bronson, Donald Pleasence and James Garner….can one ask for more? A landmark in the history of movie making. A classic by Orson Welles, this is a brilliant master piece that can resonate with any generation, in my opinion. Surprisingly, it was a box office disaster initially, it generated huge acclaim eventually and continues to thrill audiences even now. Alfred Hitchcock movies did not allow me to sleep for a couple of nights at least after watching them. For a very long time after watching Psycho, I would be scared of drawing the shower curtain…those of you who have seen the movie will understand why! 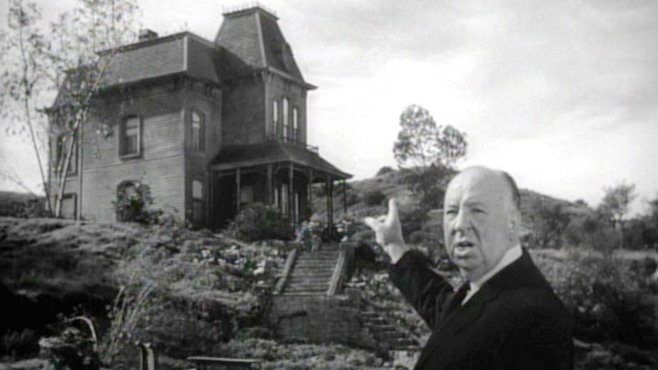 Hitchcock movies had this quality of making me look over my shoulder whenever I was alone. Psycho is considered a cult movie in the suspense/thriller category, with its rich, dark & enigmatic quality. I will still recommend the black & white version instead of the remakes that have come recently. A must watch…but don’t blame me if your popcorn just falls off and does not go into your mouth. Some of the other Hitchcock movies I have thoroughly enjoyed – 39 Steps, Vertigo, North By North west, The Birds and Rear Window. A war movie with a difference and a heart. Schindler’s List tops that category for me. Poignant, emotional and incredibly humane – the war crimes against the Jews is depicted beautifully and authentically shown by Steven Spielberg. It is not for nothing that he is called a master film maker. There are movies about the holocaust and there is Schindler’s List…that’s how powerful it is!!! This is another epic spaghetti western movie from one of the greatest director of the genre Sergio Leone. 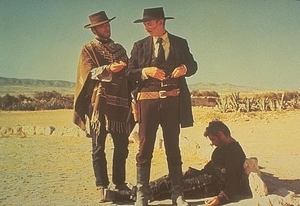 This 1968 old Wild West tale came with wide screen cinematography of visual splendour that is so intrinsic to raw western lands and most enigmatic actors in the roles of the bandits and cowboys. This film had been a subject of huge cult following in many parts of the world where it inspired great many masterpieces of the same theme. A runaway princess meets handsome man and they fall in love…mush story most will say. Of course it is…but what a mushy romantic story. Gregory Peck became the benchmark in romance for a long time for a lot of women. Audrey Hepburn, as the lovely princess is adorable in this all time favourite of mine. 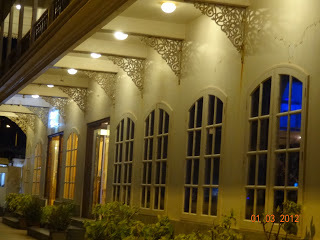 Ralph Fiennes once said, “So much of movie acting is in the lighting. And in loving the characters. I try to know them, and with that intimacy comes love.” He, of course said it from an actor’s perspective…I say it from an audience perspective. 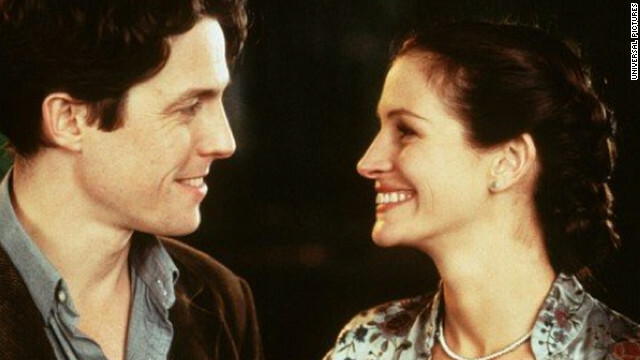 And I have loved Hugh Grant’s characters in both – Four Weddings & A Funeral and Notting Hill – the same way. British film makers showed Hollywood how to do romantic comedy in a subtle under played way…which only they can do. There are so many movies that have left me wanting for more and I can say truly good cinema – The Great Dictator, Buena Sera Mrs Campbell, Papillon, Chinatown, The Pianist, Forrest Gump, Rain Man, Pulp Fiction, Apocalypse Now, The Graduate, Shawshank Redemption, One Flew Over The Cuckoo’s Nest, Tamarind Seed, Singing In The Rain…I can go on a little more. The one film I have to mention in the last two decades after the phenomenal crime suspense thrillers of Hitchcock all of which had a psychological bent, this 1991 psycho thriller is the right one in every aspect of judgement. The film won Oscars in all top five categories including best picture, best director, best actor, best actress and best adapted screenplay and in considering the huge artistic and critical reception of the film all over the world. The character of Hannibal Lector, who brought new meaning to having a friend round for dinner, raised Anthony Hopkins to an iconic status and terrified a whole generation…and cntinues to do so. Finally, a good movie can take you out of your dull funk and the hopelessness that so often goes with slipping into a theatre; a good movie can make you feel alive again, in contact, not just lost in another city. Good movies make you care, make you believe in possibilities again. If somewhere in the entertainment world someone has managed to break through with something that speaks to you, then it isn’t all corruption. The movie doesn’t have to be great; it can be stupid and empty and you can still have the joy of a good performance, or the joy in just a good line. An actor’s scowl, a small subversive gesture, a dirty remark that someone tosses off with a mock-innocent face, and the world makes a little bit of sense. Sitting there alone or painfully alone because those with you do not react as you do, you know there must be others perhaps in this very theatre or in this city, surely in other theatres in other cities, now, in the past or future, who react as you do. And because movies are the most total and encompassing art form we have, these reactions can seem the most personal and, maybe the most important, imaginable. The romance of movies is not just in those stories and those people on the screen but in the adolescent dream of meeting others who feel as you do about what you’ve seen. You do meet them, of course, and you know each other at once because you talk more about good movies than about what you did not see in bad movies. Enjoy the cinemas and like the saying goes…the show will continue to go on!!! 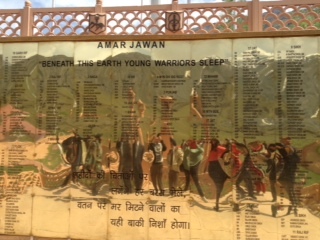 A War…Hundreds Of Martyrs…A Lifetime Of Memories! “We sleep safely at night because rough men stand ready to visit violence on those who would harm us.” – Sir Winston Churchill. 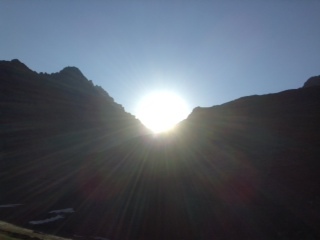 This was the thought that I carried in my head all along my journey from Srinagar to Drass and Kargil. It is almost fifteen years since we fought the last war with Pakistan…a war in which many a parent lost their child, many a wives lost their husbands, many a children lost their fathers and I lost dear friends. 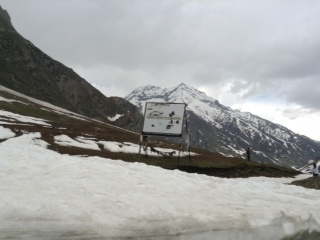 My journey started from Srinagar at 0700 hours and we reached Drass at 1830 hours. 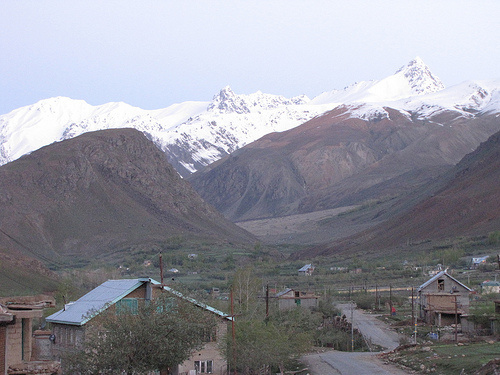 The scenic beauty of the region must be seen to be experienced. No amount of words can do justice to what nature has created. Sleepy villages that echoed of school children’s laughter, apple and apricot trees lining the roads, snowy peaks that were at a distance initially and gradually came closer as we started our climb to Zojila, icy mountain air that was crisp and kept me refreshed all through out, the gushing sounds of the Sindh river as it flowed on our right and the magnificent white glacier on the left. With every turn and bend, I truly felt I was one step closer to heaven…in more ways than one! 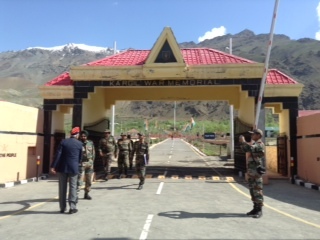 A quick stop at Sonamarg for lunch and an interesting chat with the Commanding Officer posted there opened my eyes to the hardships that our army faces on a day to day basis. 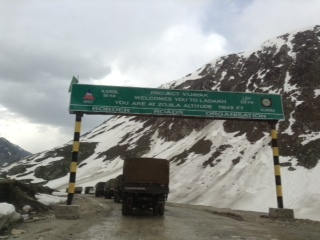 Having travelled to Jammu and Kashmir many times earlier, I had never been to this part of the state beyond Sonamarg. And when one is young, the romance of life is very different! As we crossed Zojila, I was awestruck by the beauty of the stark landscape around me. I was sitting in a semi open jeep, so I could indulge in some photography on the way and I wasn’t disappointed at all. As we climbed higher, we saw less and less of human population on the road as the villages and towns are far and few in between. At Ghumri, a roadside board brought a smile to my face…an enterprising local had put up a board of selling “hot momos.” We did look for the shop, but it was closed! Approaching Drass, a feeling of melancholy crept over me. I was excited to be there, yet, the thought of our army standing guard, fighting to protect us from an enemy who actually wasn’t an enemy 70 years ago, brought home the futility of war… for war means fighting and fighting means killing. 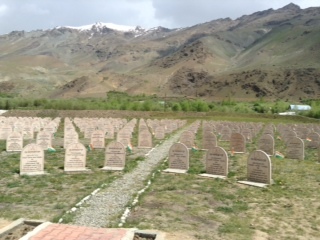 As we entered Drass and were driving to the place where we stayed a couple of nights, my driver pointed out and said,”Madam, Tiger Hill!” That was enough to get my adrenalin rushing…finally I had reached the place where I had come to pay homage, not only to the friends who had died fighting, but all 543 martyred soldiers and the 1000 plus who were injured. The ones who are alive continue to carry the horrors and scars of those fateful days. I’m not going to recount what happened between April – July 1999. Historians have chronicled the Kargil War very well and my readers can refer to that if they want to know what the war was all about and how it was fought. I am writing for my fellow Indians to realize they have forgotten that there are soldiers out there who have sacrificed everything, just so that we live peacefully where ever we are. 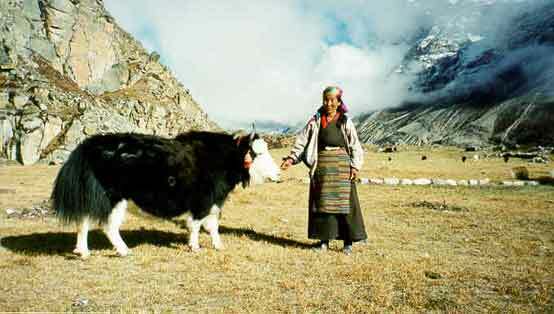 When I meet people in urban areas who have no clue about what it is to live at altitudes ranging between 10,000 feet to 21,000 feet and eat tinned food for 7 – 8 months in a year, not talk to your family for the same period, bear temperatures from 5 degrees to minus 40 degrees…I keep thinking that every Indian must make the effort of travelling to such places to experience a wee bit of what our Indian Army goes through. Just the road trip should suffice to understand. 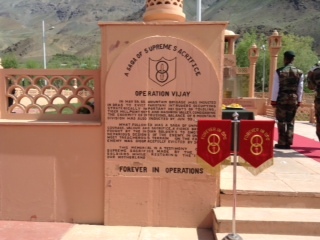 Walking through the gates of the War Memorial, as I tread softly on Vijay Path, I could not control my tears. So overwhelming was the emotion that I broke down. I wept for the martyrs, for the families who had sacrificed and the families who continue to sacrifice . 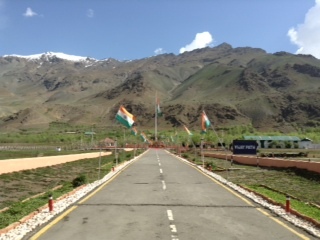 The officer, a young Major, who was briefing us about the Memorial, had just completed 7 months on a snowy peak at 18,200 feet altitude and had come down to Drass after that rigorous stint. What could I say to someone like that…all I could do was listen to his experiences and feel humbled. Havaldar Razak’s ability to narrate the events of April – July 1999 had all the listeners weeping…there wasn’t a single dry eye in the audience. Such is the ambience at the War Memorial. My Dad, who served 37 years in the Indian Army, who has been part of various wars and conflicts, once told me, “What you don’t know going in is that when you come out, you will be scarred for life. Whether you were in for a week, a month, or a year—even if you come home without a scratch—you are never, ever going to be the same. who is reading this – have you ever stopped to ponder the amount of blood spilt, the volume of tears shed, the degree of pain and anguish endured, the number of noble men and women lost in battle so that we as individuals might have a say in governing our country? 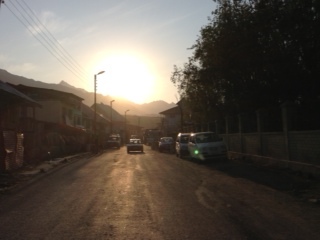 As I left Drass that early morning, I felt a sense of calm and peace that came to me for I had discovered one more purpose in life. A mission of creating awareness about the army I love and respect, of the humane aspect of being a soldier, of the stoic and sensitivity of the men in uniform. Honour the lives sacrificed for your freedom. I thank the Lord above everyday for giving me this life that is protected by such a gallant & brave army. Thank you Indian Army!!! The old order changeth yielding place to the new. I’m not counting the first three elections that were fought in the euphoria of the independence struggle. selfish to become a career politician. one pursues. That it became a corrupt and convoluted machinery for people to make money does not reflect on politics itself. It reflects on the kind of people we elect to the temple of democracy. as politicians. However, this is not to be done at the cost of the nation! for a decisive leadership. 31% vote share has been won by BJP and the millennials have reposed their faith by electing all the first timers. The youth will expect a lot from their MPs. comes through you and not from you. Only then the field of politicswill be viewed as a great career option by the youth. To conclude, I will say please remain connected with your people in your constituencies…they are the pulse and the feedback you get from people who have elected you is the one that should guide you! All the best….India is with you!!! I was wondering what random thoughts I would write about now on my blog as I was talking to my man one night. I asked him and he said travel. That caught my attention…I do follow a couple of travel blogs and I find them fascinating. The writers pour their heart into their writings and manage to transport me to their world. Travel has always fascinated and interested me. 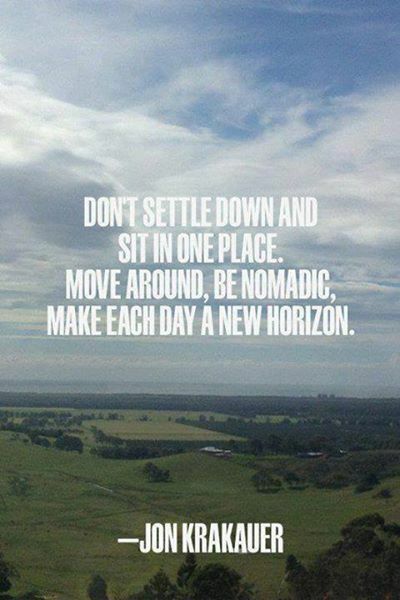 It fulfils a deep yearning of the wanderlust in me. The sheer joy of going to a different place, meeting new people, exploring the culture, the cuisine and the countryside…all give me an adrenalin rush. The traveller sees what he sees. The tourist sees what he wants to see. It’s a very profound statement that GK Chesterton made. And this only people who are travellers will understand. A mere vacation person will never know the pleasure of travelling to a destination to enjoy the travail. I know I may sound arrogant when I say something like that…however, I have experienced check list vacations and have hated every minute of it. I realised that I enjoy my travails more than quick holidays. This prompted me to go down memory lane and think about all the travelling I have done and enjoyed. I have done my fair bit of domestic and international travel. What strikes me while the international travel has been fun, I want to share with all of you out there some of the places I have visited in India that have left a deep impact on me in terms of beauty and culture. I don’t think I will ever forget those experiences. The whole state of Jammu & Kashmir has been described as “heaven on earth”. I particularly fell in love with two places. 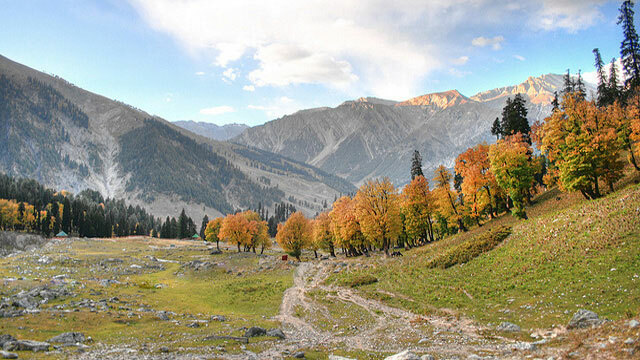 Sonamarg or literally “meadow of gold” is one such place. Sonamarg is backed by the might Himalayas and the lovely Sindh river meanders through the valley. My first impression of Sonamarg was during autumn and the all the hues of the season against a bright cerulean sky, with fluffy white clouds…I will never forget!!! The crisp mountain air would keep me outdoors most of the day and I would love walking through the valley exploring different things locally. Many a times I had some food packed for me, with a couple of books and my music, I have spent blissful hours reading, gazing at Mother Nature’s marvels and just…day dreaming. 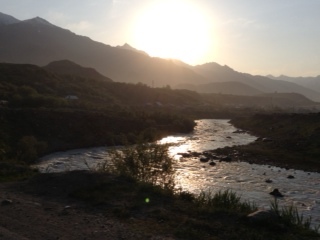 My second trip was trekking and camping and discovering the place on foot…again with some friends. Ten days through Hemis, Latza Kongmaru, Tilut Sumdo and finally arriving at Padum through Zangla not only helped us bond as better human beings, but, also brought about clarity in so many things that I was doing in life. You see, while communing with nature, I had nothing to do but think of myself and my life :). It’s funny how the noise and pace of the city life keeps you superficially connected with yourself…one trip at 11,000 feet is enough to get you to listen to your heart more than your mind. I fell in love with the slice of France that co exists with varied slices of India. The time that I spent there was indeed “gimme a break” time and my friend Shrikant and his lovely wife Sharada, helped me take that break. The French part of the town, with its boulevards, white and ochre buildings, clean roads and inhabitants on cycles…all reminded me of my trip to the villages of Southern France. Auroville, the area where Aurobindo Ashram is situated is such a peaceful place. The silence and quiet calm of the Ashram once again plucked at my heart strings for this was the final resting place of a great soul who was not only a freedom fighter, but also a spiritual guru – Shree Aurobindo Ghosh. On a visit to Mangalore for my company’s recruitment drive, I met Prasanna Shetty who introduced me to the virgin coastline of Karnataka. His description of the 40 odd kilometres of drive along the Bhatkal coast piqued my curiosity enough to plan my exploration in that region. And I did not regret. The three places I have mentioned, Shivas, Cliffs and Kapu Beach Lighthouse are relatively unheard of for a regular tourist or vacation person. I also discovered that these three places are a surfer’s paradise in India. I know, I know…a lot of people will say…”surfing? here?”. It’s true…I got to meet surfers from France, US & UK while I was beach combing for crabs, shells and other oddities that you can find only in such places. The small town of Maravanthe where I stayed at a homestay, has one stretch of the beach where a two lane highway runs parallel to the ocean within 15 meters of the water’s edge and on the opposite side of the highway is a big fresh water lake. In the lake are several islands with villages on them and there is an ancient 2,000 year old temple. The entire stretch along the sea reminded me of one of my favourite book series – Famous Five series by Enid Blyton. The five friends who go from cove to cove, discover adventures and solve mysteries…while I didnt solve any mysteries, I went from cove to cove, discovered white sand beaches, stretches of water that made me realise what a small place I occupy in the world. 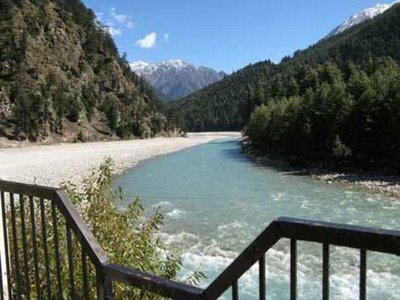 Situated in the lap of the Himalayas, on the banks of the river Bhagirathi, I discovered Harsil on my way to Gangotri. While the world hears of Gangotri as a one of the pilgrimage and tourist attractions in Uttarakhand, Harsil is the poor but beautiful cousin no one has heard of. The place is a nature lover’s paradise, with dense deodar forests, chirping birds, gushing waters of the river, salubrious & serene environment. It also offers innumerable trekking routes that allow you to explore the mountainside and experience beauty like never before. 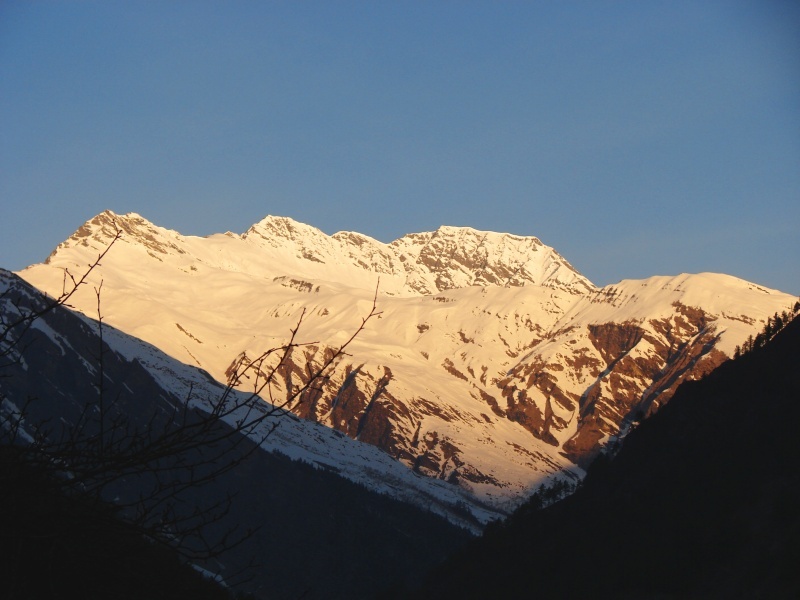 I fell in love with the state of Uttarakhand…but Harsil remains a never ending passion. During the 70 odd kilometres of drive from Uttarkashi to Harsil, the green mountains were dotted with an occasional spot of orange. I later realised that these trees were called flames of the forest. The roads are dotted with apple trees and during the harvesting season the air is heavy with the smell of apples – quite intoxicating is all I can say. An unexplored territory, Harsil was however featured in a Bollywood movie I was told by the locals…a movie called Ram Teri Ganga Maili! I thought to myself a career as a location hunter in a movie production house is a good option if it allows me to travel, discover & explore. I love history…I love the romance associated with the stories of yore. A road journey to some of the lovely forts in Maharashtra allowed me to soak in Maratha history in such a way that no classroom had done in all those years of studying the subject. 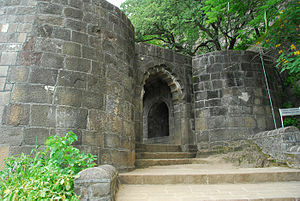 Maharashtra alone boasts of 350 forts of varied sizes…a treasure house I can say. I haven’t visited all of them…the ones I have, left me with echoes of the past and the impact it has had on generations after. Starting with Shivner Fort, the place of the Maratha emperoor Shivaji’s birth, we travelled to Sinhagad Fort where he lost is trusted and most brave commander in chief, Tanaji. Purandar Fort, the capital of the Maratha kingdom has a quaint charm of its own and is about 40 kilometres from Pune, the culture capital of Maharshtra. 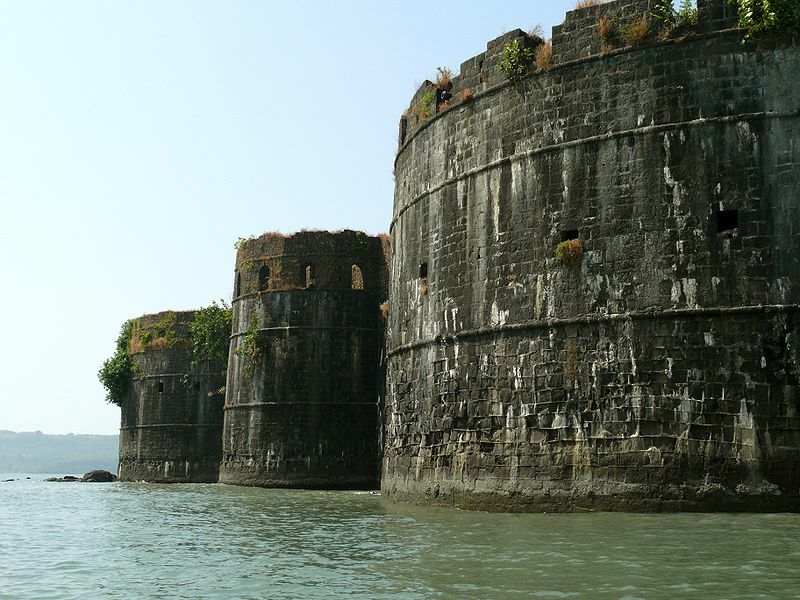 The twin forts of Sindhudurg and Vijaydurg off the coast of Mumbai were built by Shivaji in the 1660s to protect the land from coastal invasion. 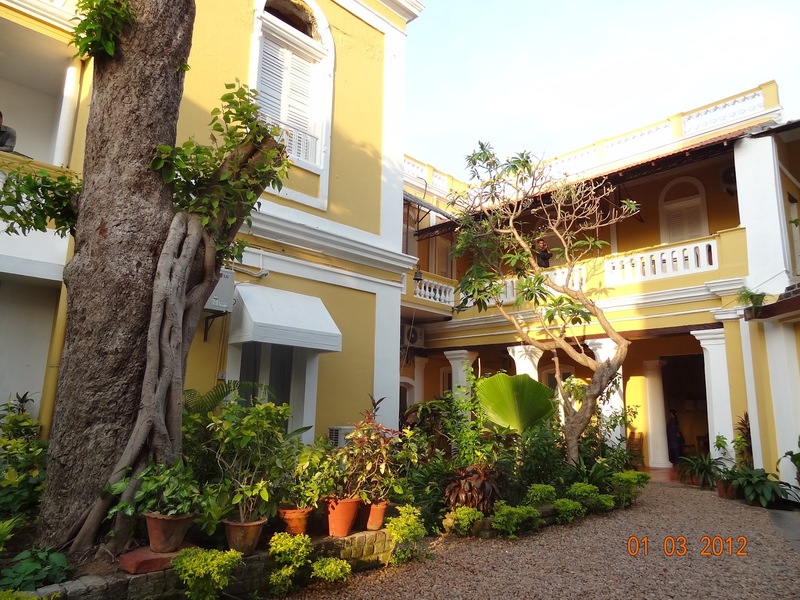 The Mumbai Fort is also part of the same vintage and today has only parts remaining in the business district of Colaba in Mumbai. The fort of Murud Janjira, near the small fishing town of Alibaug was also constructed for the same reason by the rulers of Ahemdnagar. Ahemndnagar itself boasts of a lovely fort, which falls into the old fort category – more than 600 years old. Our journey then took us to Lohagad and Visapur Forts, near Malavalli, Pune. These two forts that are separated by a ridge are relatively newer – constructed in mid 18th century. 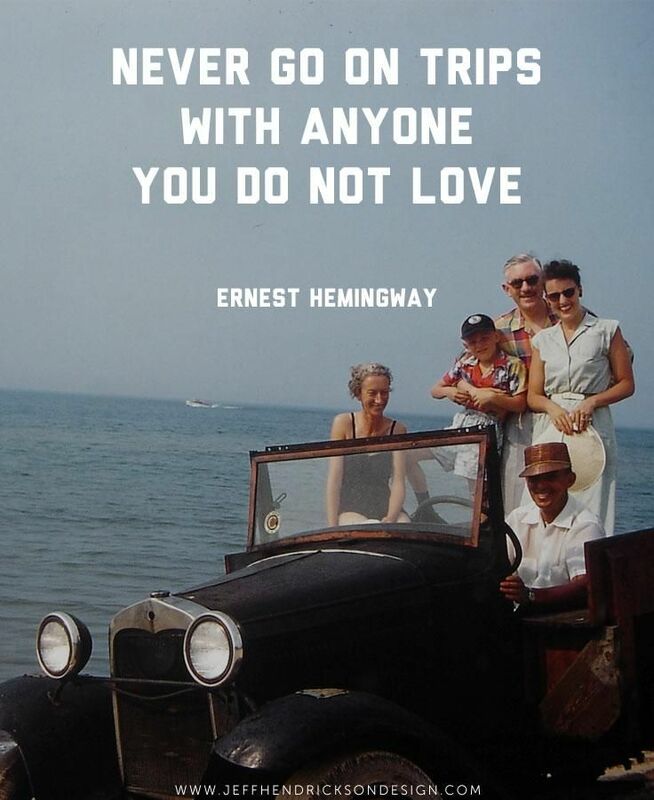 The icing on the cake is when you have a family that loves to travel as much as you do. I am lucky that way. The man in my life loves it as much as I do…if not more! In fact, one of the things that keeps our relationship going is our love for discovering new places, new experiences. That the children love to indulge in this with us is an added joy. The one thing I keep sharing with him is,”I want to make memories with you all over the world”…and do that we will!